September is turning out to be an exciting, busy month for us. 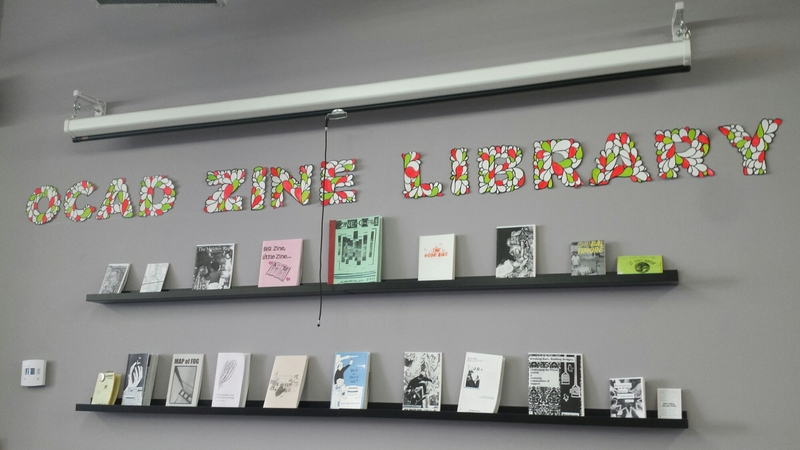 After mailing out copies of The Quilliad on Friday for inclusion in the Toronto Zine Library, today I dropped off all 5 issues at the OCADU Zine Library. Knowing that we are becoming more immersed in the Toronto arts scene makes us feel pretty great. 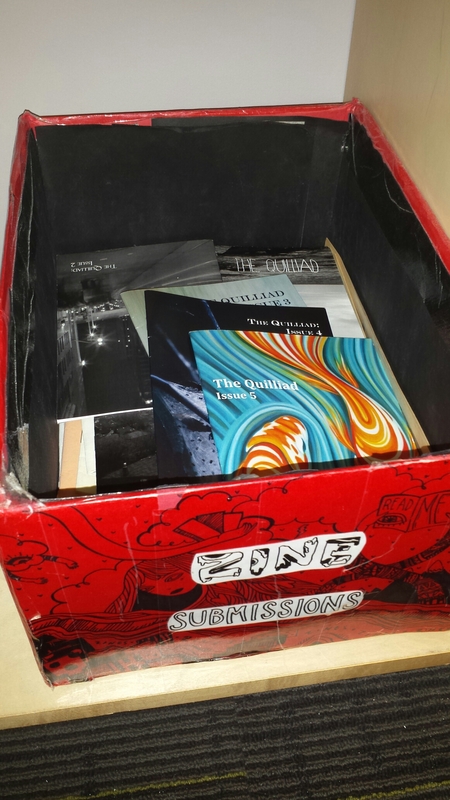 We’ll also be connecting more to small press culture across North America this month, with more small press fiction and poetry book reviews coming up here on our blog. Then, of course, there’s also our Kickstarter approaching (the launch will be happening within the week! ), as well as the announcement of the cover artist for issue 6. Stay tuned for more arts and lit news. 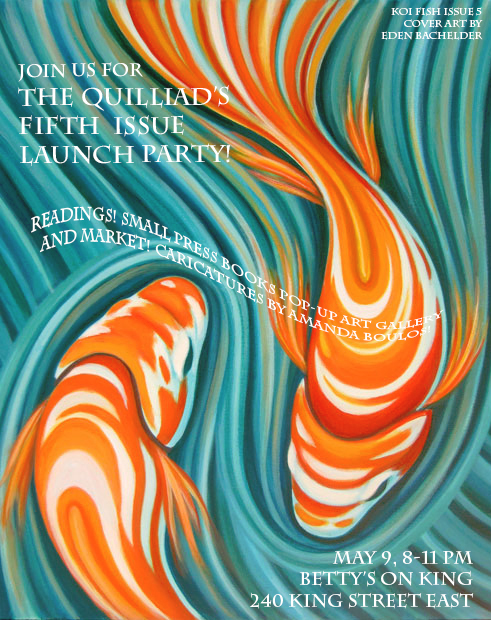 Join us at Betty’s on King (240 King Street East, Toronto) on May 9, 2015 at 8 pm for readings, caricature art by Amanda Boulos, and a pop-up art gallery/arts market featuring small press books and work by local artists!